BAMF! 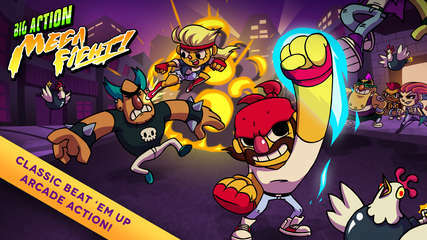 is an homage to classic 90s beat 'em ups like Double Dragon and Streets of Rage, where intense cartoon combat meets tight controls and a satisfying difficulty curve. Originally released for iOS and Android, Big Action Mega Fight! smashes its way onto Steam after a successfully-speedy Greenlight campaign.